Advocating the need of economic package to Punjab, Revenue Minister Bikram Singh Majithia today said that Center should grant Special Economic Package to Punjab on the pattern of North-East states since it was the legitimate right of state. 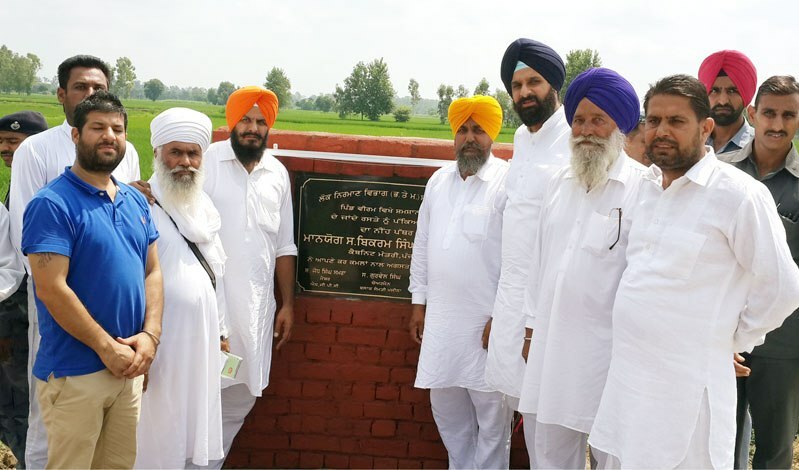 Majithia, who was here to distribute grants for development works in different villages namely Dhing Nangal, Harian, Targar Rampura, Borewal Kang and Veeram, said that Center should consider Punjab as it was considering border state Jammu and Kashmir. He said that there were various similarities in Punjab and Jammu and Kashmir as both were facing severe problems due to infiltration, cross border terrorism so there should be single parameter of packages for both border states. The Revenue Minister urged the Union Government to extend Special Economic Package for Punjab so that impetus could be given to ongoing unprecedented development besides creating new job avenues.Thanking Prime Minister Mr. Narendra Modi and Union Finance Minister Mr. Arun Jaitley for awarding Amritsar the status of Heritage City, Indian Institute of Management, AIIMS to Punjab along Central University, Mr. Majithia said that NDA has end the decade long discrimination being meted out by Congress. Ridiculing the prediction of Amritsar MP Captain Amarinder Singh regarding 2017 polls, Mr. Majithia said that Captain should understand the fact that development was one and only preference of electorates of Punjab and development has been foremost mission of SAD-BJP combine. He said after Mr. Partap Singh Bajwa, now Mrs. Rajinder Kaur Bhattal has opened revolt against him and having gone berserk Captain was beating about the bush. He said that in 2017 Congress and Captain will have to face the same fortune like 2007 and 2012.Describing Captain a long absentee from Amritsar, Mr. Majithia said that he backstabbed the people of Amritsar by remaining absent not only from constituency but too from Lok Sabha. He said that he was running from his responsibilities by ignoring the aspirations of people of his constituency. Majithia announced that with the grants distributed by him today the development works including concrete streets, pucca paths leading to various Deras will be completed. Prominent amongst those present on the occasion included Major Shiv Charan Singh Shivi, Jodh Singh Samra, Prof. Sarchand Singh, Media Advisor to Mr. Majithia, Sarpanches and Panches of various villages.